I have received Broughs flies in the mail yesterday. Very nice looking fly that I feel people will be happy to receive. I will be running an updated list like the one below as flies come in. I expect not to be invited to the next swap, but regardless, this has been fun. I have received BRK TRT Flies flies in the mail Friday. again Very nice looking flies that I feel people will be happy to receive. I will be running an updated list like the one below as flies come in. GB: If your flies are on time and you did your best, then I do not understand why that you would not be able to join any other swap. Swaps are for every one to join and enjoy. This is one thing that talent, knowledge, either the novice or experienced tyer doesn't matter, it's about brotherhood. God I hope you bought that line of crap. I have received draku007 flies in the mail today. Draku007 you did a very nice job on these flies. I really like them. Also like the color choice that you made. My question to you, when is the best time to try and fish this fly. Maybe we should get together and fish in NY somewhere this coming spring? 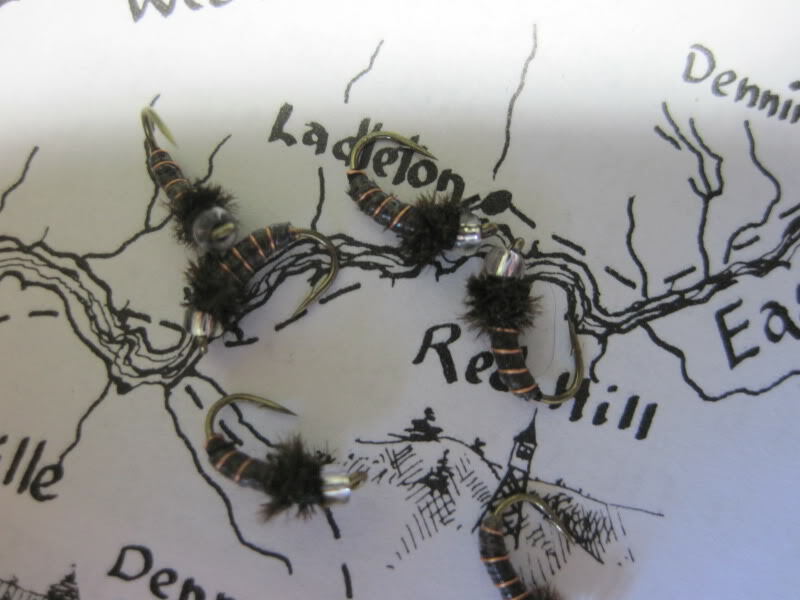 I have received trico mikes flies yesterday in the mail. Mike did an outstanding job. All the flies that I have seen thus far shows how hard people tried to make the flies look nice. Trico mikes is another great example of well tyed flies. All other swappers that have flies in the mail or are putting them in the mail, I will keep posting to let everyone in the swap know they have been received. I want to take the time and thank everyone who has participated in this swap. The flies are beautiful and well done. Just a reminder that flies are due to my house by February 15, 2011. If for some reason your flies will be a tad late, that's Okay but just please let me know. Wow the mail was quick only put them in friday.